Talmud תלמוד by Tzvee Zahavy: Is Warren Beatty Jewish? 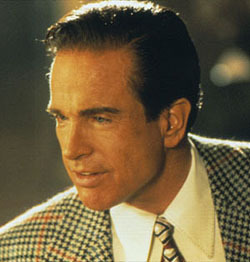 No, the actor Warren Beatty is not Jewish. He was raised in a devout, churchgoing Baptist family, but he is not known to be a practicing Baptist now. Barbra Streisand said of Beatty: "He's an incredibly gifted...gentile." In New Yorker, Woody Allen (definitely Jewish) hilariously mocked the story that Beatty slept with 12,775 women during his lifetime in his essay, "Will the Real Avatar Please Stand Up".